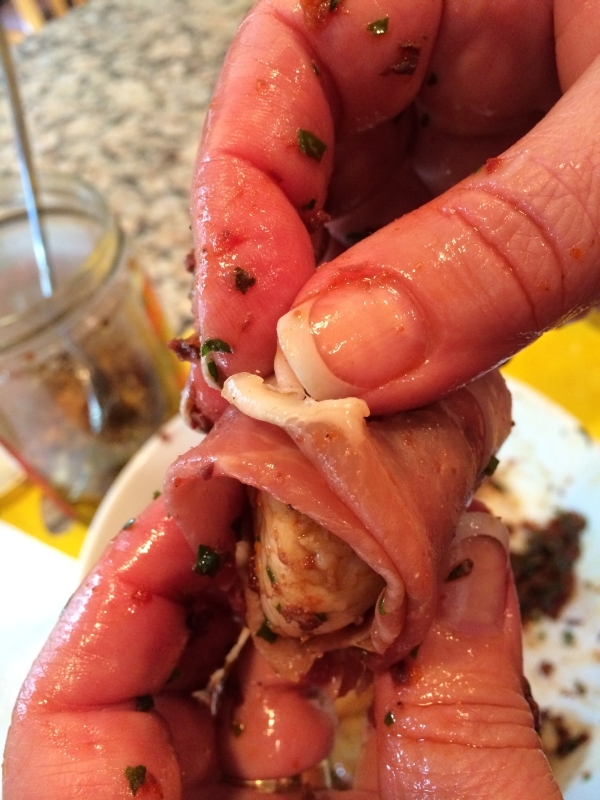 I was trying to think of something different to prepare on a recent girls night gathering. 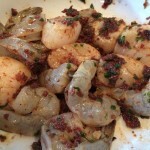 Bill had been hungry for scallops and I always like shrimp served along with them. 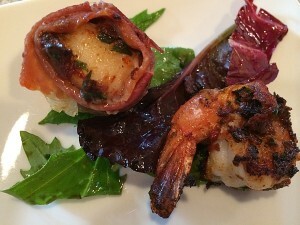 I took a look around the fridge, freezer and pantry to see what ingredients that I had on hand; and recalled watching Giada prepare Prosciutto wrapped scallops. 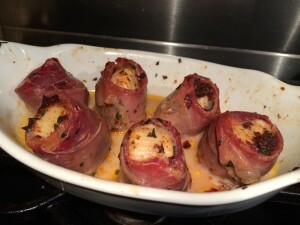 I went on line and worked with her recipe! 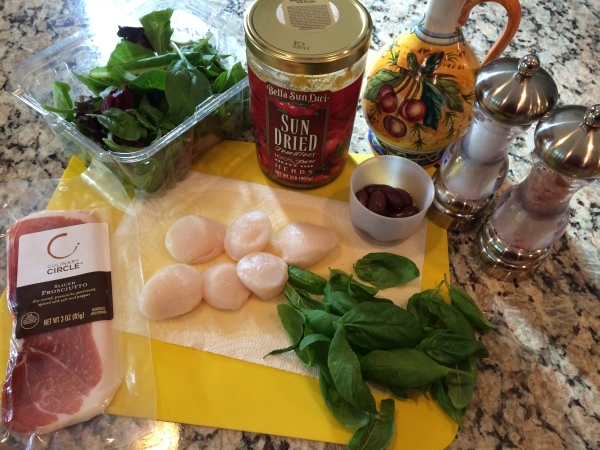 It’s simple and delicious and Bill isn’t even an olive fan… Give it a try! So this recipe is courtesy of Giada De Laurentiis! 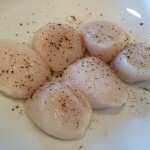 Clean and pat dry scallops and peel the shells off the shrimp but leave the little tail on the end. 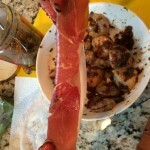 Clean thoroughly and season both sides of the fish with salt and pepper. 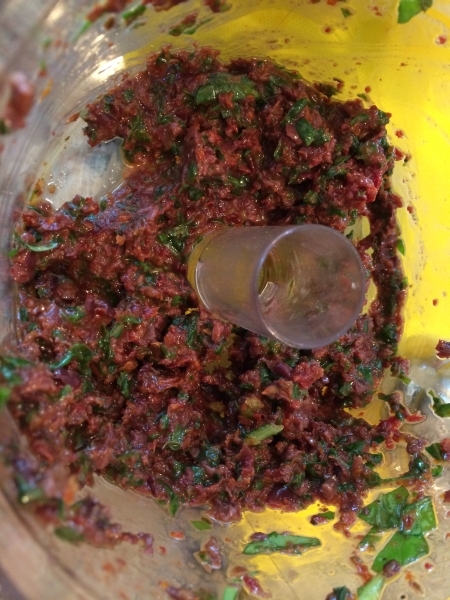 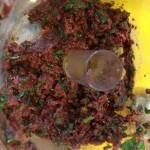 In a food processor, add the tomatoes, basil, olives, and olive oil and process until finely chopped. 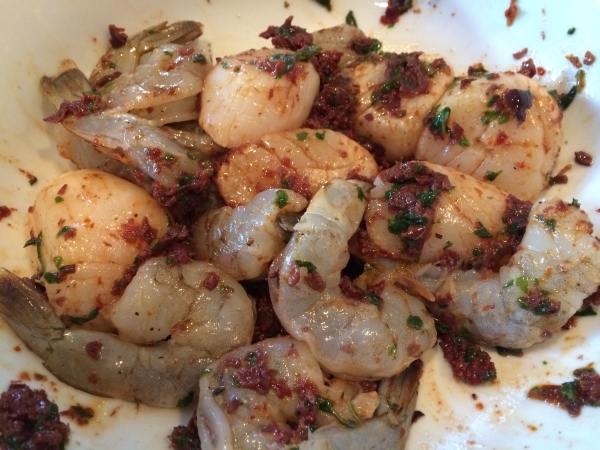 Rub each scallop and shrimp with the tomato mixture. 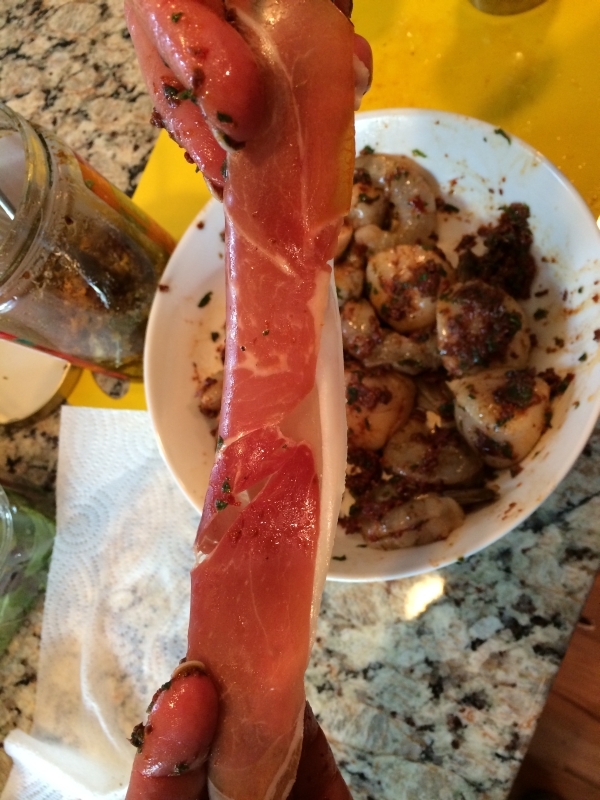 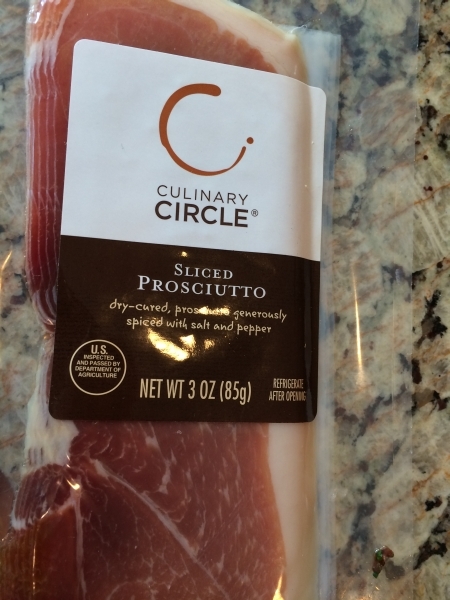 Fold each slice of prosciutto in half lengthwise, then wrap each scallop in one slice of prosciutto. 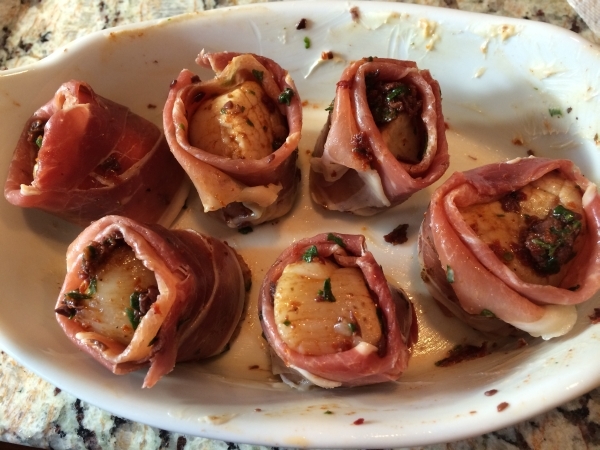 Place wrapped scallops in a buttered baking dish, seam side down. 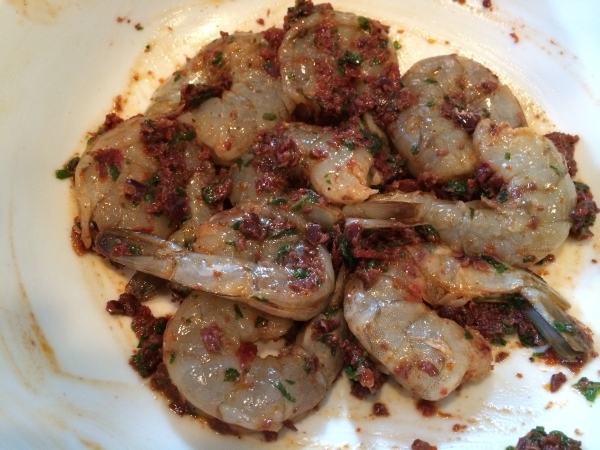 Meanwhile, allow the shrimp to marinate for 20 minutes or so in the remaining mixture. 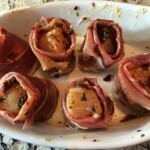 Bake the scallops uncovered until the scallop is cooked through, about 15 minutes. 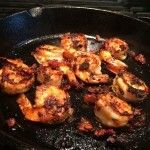 Pour shrimp along with marinade on hot grill griddle or in a cast iron skillet over medium grill heat. 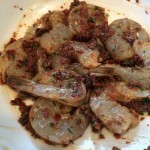 Stir and toss shrimp until they turn pink in color and tighten or curl up a bit. 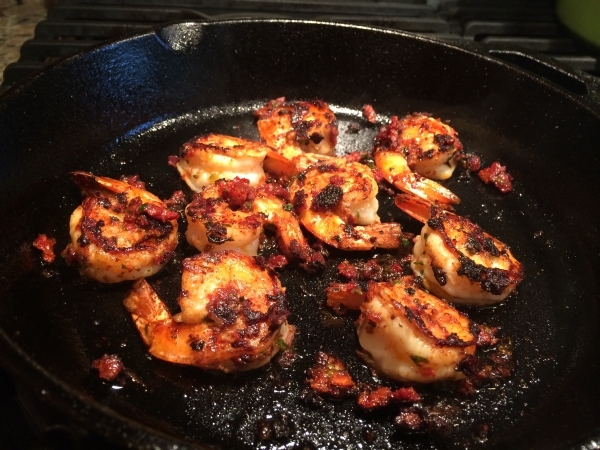 This only takes a few minutes, and it depends on the size of the shrimp, but don’t overcook it as it gets tough if you do. In a medium bowl, toss the arugula with the balsamic vinegar. 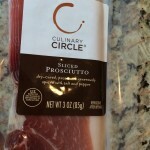 Season the arugula with salt and pepper. 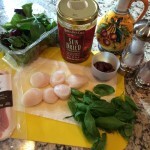 Place the arugula on a serving platter or divide among individual dishes. 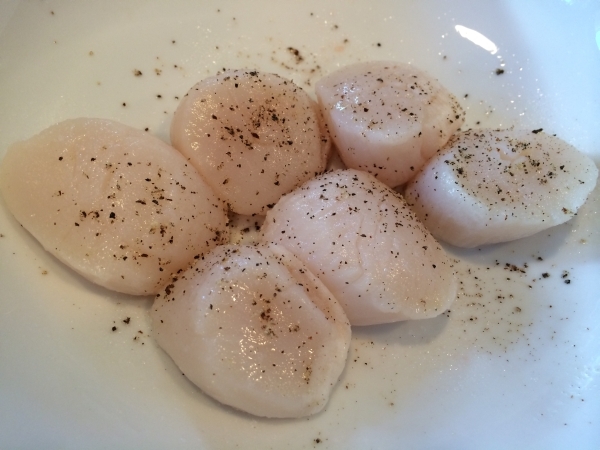 Top with the scallops and serve immediately.